Thermostatic temperature control. Separate flow and temperature controls. Exposed - for ease of installation. Maximum Temperature Overide Button. Automatic shutdown if hot or cold water supply fails. 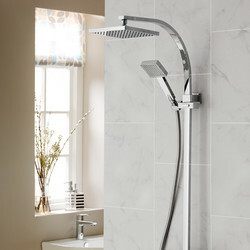 Large fixed shower head with tilt and bevel adjustment. 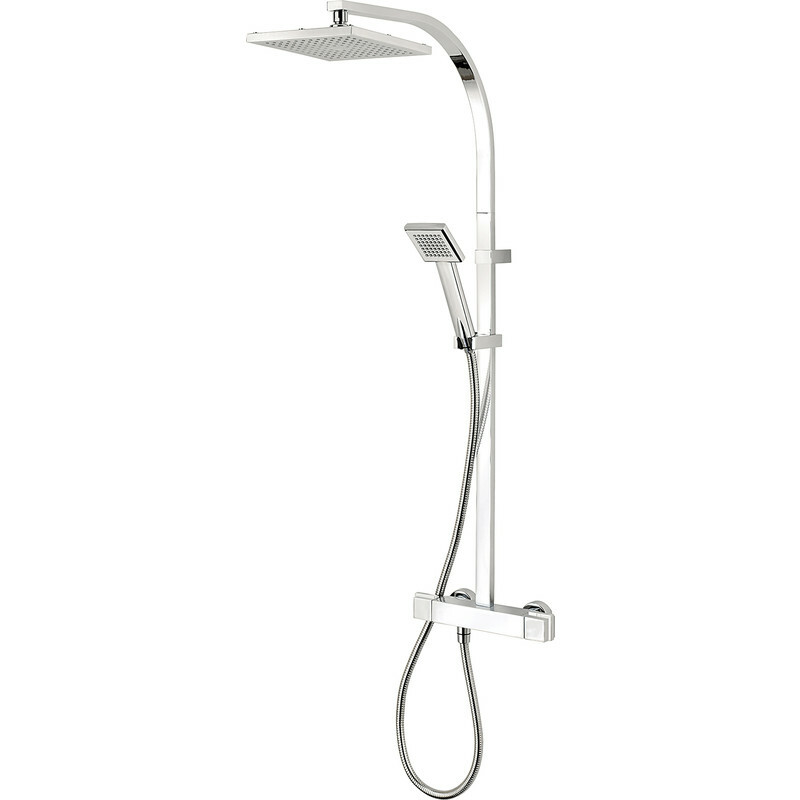 Hand held shower head with 5 spray patterns. Suitable for high pressure systems only.